These sourdough making and bread baking tips aim to help you with your sourdough bread baking. Maybe you have your sourdough starter culture ready and active. If not, please check out our tutorial on how to make your own sourdough culture in easy steps. Time is your friend, time means taste. And compared to yeast based breads you will need much more of it for the dough to properly develop. So, do not make sourdough bread when you are in a hurry, it takes as long as it takes! Do not be discouraged if your first sourdough bake is not perfect. This is perfectly normal. 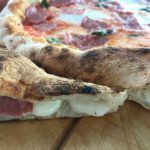 Like with all baking you need to learn and get to understand your dough and its quirks in combination with your surroundings, your material and ingredients. Lots of factors that need to come together. 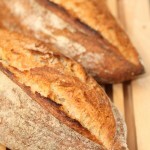 Start with a good basic sourdough recipe like our Pain Naturel. When this goes well you can get creative. Make the recipe at least a few times as described before changing anything…get to know the recipe and get a feel for the dough. Every sourdough culture is a bit different, some take 2 hours to proof your bread, some take 4 hours. So bake a few times to get a feeling of your sourdough culture it may be different from ours. Even if your sourdough loaf is not perfect and maybe a bit flat, do not throw it away. Most of the time it will still be very edible! You will see a lot of different names for the same thing in recipes in books and on the internet; sourdough, culture, starter, barm, sauerteig, kultur, desem etc. It all means the same; a mixture of water and flour fully alive with wild yeast and good bacteria. Do not be confused, it all works the same! The biggest difference will be the amount of water and the type of flour. You take good care of your starter by refreshing it regularly. When a starter gets too sour the acid stops the yeast from growing and making bubbles. By refreshing you give your starter new food to eat and you dilute the acid environment so the yeast comes back to live again. When you do not use your starter for a few days or it is a hot day / week you can store it in the fridge for up to three weeks before it needs refreshing again. Your culture smells nice! Your starter should smell fresh and fruity, reminding you of things like blueberries (with rye) and yoghurt and citrus (with wheat). If this smell changes to something resembling nail polish it is definitely time to feed your starter. If the polish smell does not go away…we are sorry but we think it is time to start all over again! You stir your starter to help add oxygen to it. The ‘nail polish’ bacteria do not like oxygen but the yeast and the good bacteria like oxygen. You use the right flour to feed your culture. Organic whole grain wheat and rye and spelt will work best because these grains will have enough yeast spores to keep your culture going. You use the right water too. A sourdough culture does not like chlorine, so if your tap water has too much of it, use bottled water. Any signs of fluffy stuff and strange colors on your culture. Something moved in that does not belong. Throw it away and start again! As long as your sourdough culture is not red, blue, green or black, doesn’t stink so foul you want to run away from it or is growing fluffy hair you can rest assured it is alive and well! Why do we maintain such a small amount of starter? We work with a two step system. When using a preferment (like a poolish or a biga) we use about 15-20 grams of sourdough for a sourdough loaf like our whole wheat levain and pain naturel. With this small amount of sourdough you create a fully active sourdough preferment overnight which you then use to build the final dough. This way you can keep a small starter and still have the full sourdough flavor. Big advantage for home and hobby bakers is you are wasting far less precious flour when refreshing your culture than you would maintaining a big one! Example: You bake 2 loaves each week. With our method you only have to maintain about 50 grams of sourdough. If you decide to skip baking this week, using our method, refreshing means throwing away only about 30 grams of sourdough. With the other-big-starter-method refreshing means throwing away 200 to 400 grams of culture depending on the recipe! Plus with this method you always need to refresh your starter before baking because the gluten weaken and you would otherwise have all this flour in your dough. With our method, you add the small amount of culture to a fresh batch of flour and so you will not have this problem of weakened gluten in your culture. Maintain your starter at a lower hydration level (more thick paste like consistency). Lactic acid-producing organisms like a wet environment whereas acetic acid is produced more abundantly in a drier environment. Refrigerating the culture also slows down the yeast activity and lets the bacteria dominate and produce more sour acids. Working oxygen into the starter by mixing during feedings should also promote more acetic-acid sourness. Acid-producing bacteria like whole grain flours, so use more of them. Try to achieve a longer, slower rise. This may mean you’ll need to create a cooler rather than a warmer environment. You can let the dough rise in a cool place or use the fridge to further retard the dough rising process. Sourness also comes with age. If your culture is still very young it may need to ripen a bit more to show its full potential. Maintain your starter at a higher hydration level (more yoghurt consistency) and feed / refresh it (more) regularly. This helps to minimize the alcohol content which will help reduce the overall acidity of the sourdough. 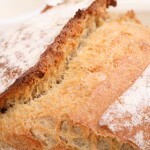 Acid-producing bacteria like whole grain flours, so use less of them and more (finer / white) bread flour. Keep your culture at room temperature. The best environment for the yeast and lactobacilli to prosper, but feed regularly!. Try to speed up proofing times. You can play with temperatures and amounts of culture added. We have found that the sourness depends on the ripeness of the preferment. This means that using an under-ripe poolish gives you the flavor advantages but not the added sourness. 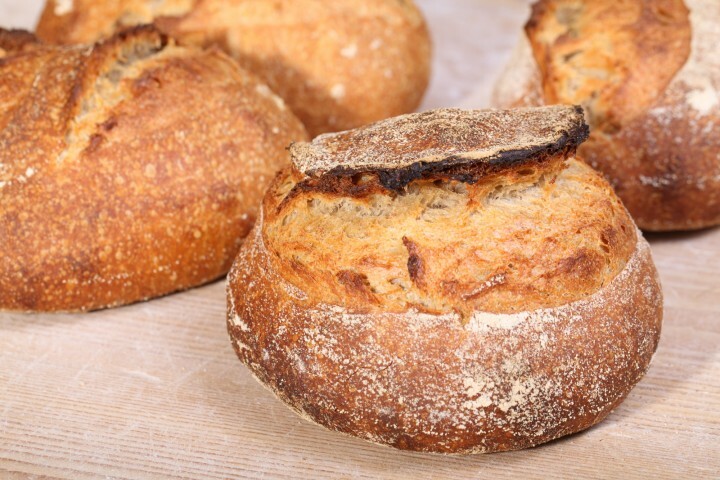 For a subtle hint of sour and wonderful crust and crumb and a speedier process, check out some of our hybrid bread recipes. They combine the best of sourdough and yeast. 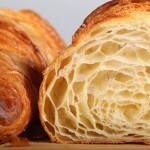 Our pain rustique recipe is a good example. You cannot neglect them or leave them alone for too long plus they are unpredictable. They are all different with their own characteristics and quirky traits. This is why, despite all the tips given, it can still be that your own culture is a mild and gentle type, never capable of producing a super sour loaf, or the other way around. If all else fails or you are not happy with your results, start a new or second culture and give it another go. Play with these tips, try different cultures and flours (rye, wheat, spelt) and recipes and see what comes out. It’s all part of the wonderful journey to your ultimate sourdough bread! 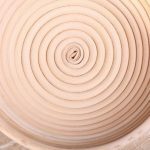 Can I use a dough improver in hybrid leavening doughs? Can you tell us exactly what you mean by dough improver? Do you mean ‘flour treatment agents’? We never use any of these ingredients except for the addition of some vitamin C (Ascorbic acid) or home made diastatic malt (see: www.weekendbakery.com/posts…atic-malt/). Both can also be added to hybrid doughs. 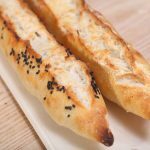 Very helpful info for a novice sourdough bread baker like myself. Thanks for the tips! Enjoy your sourdough baking adventure!